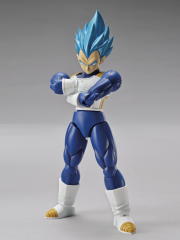 Vegeta with the power of a Super Saiyan God Super Saiyan! 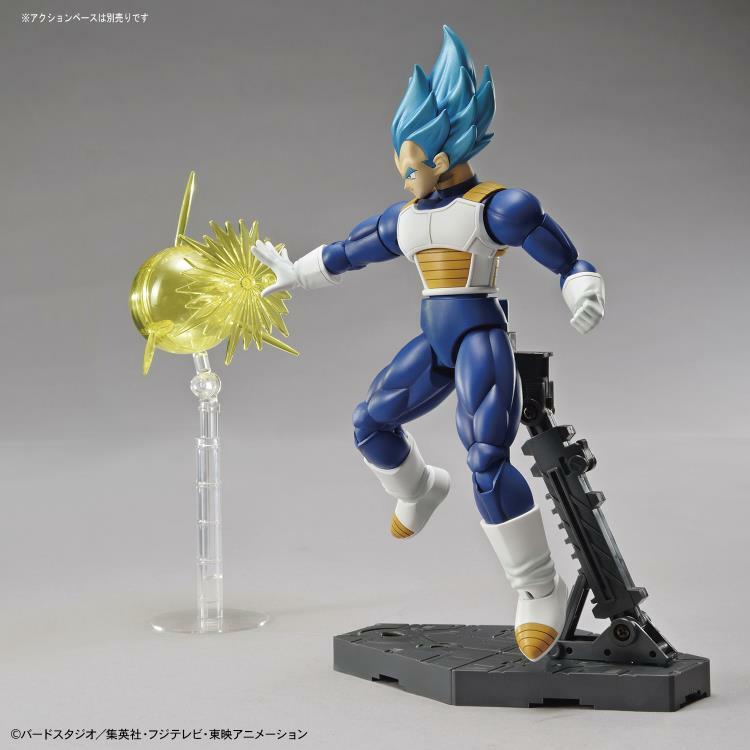 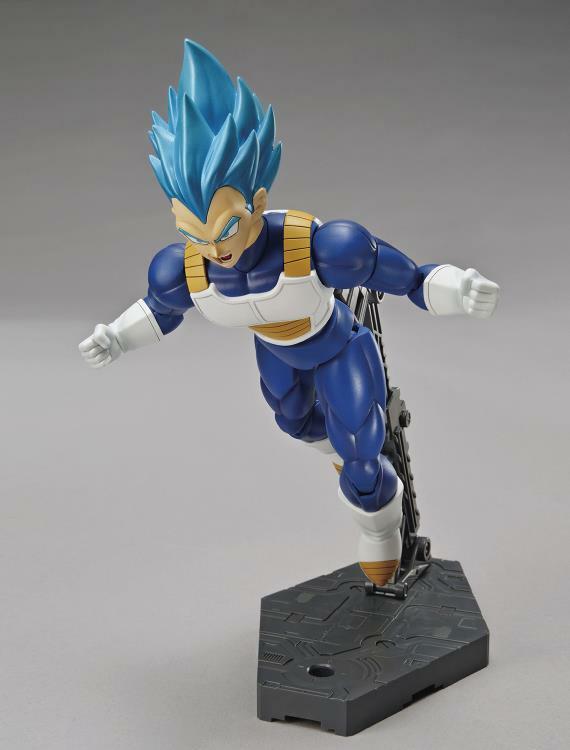 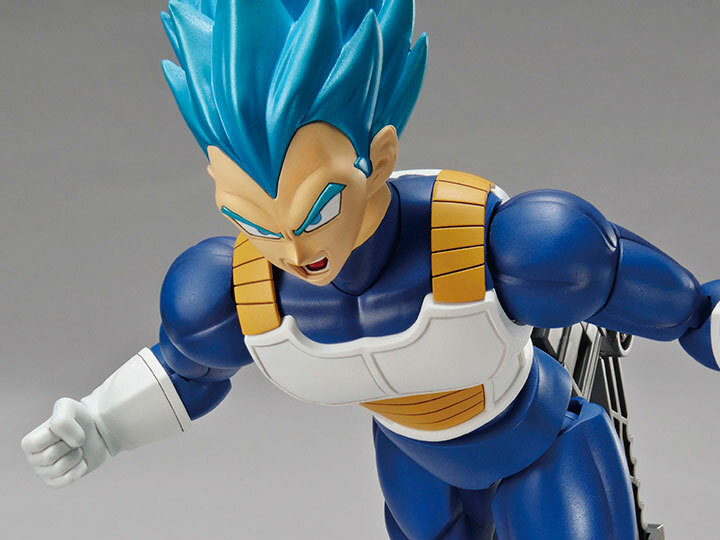 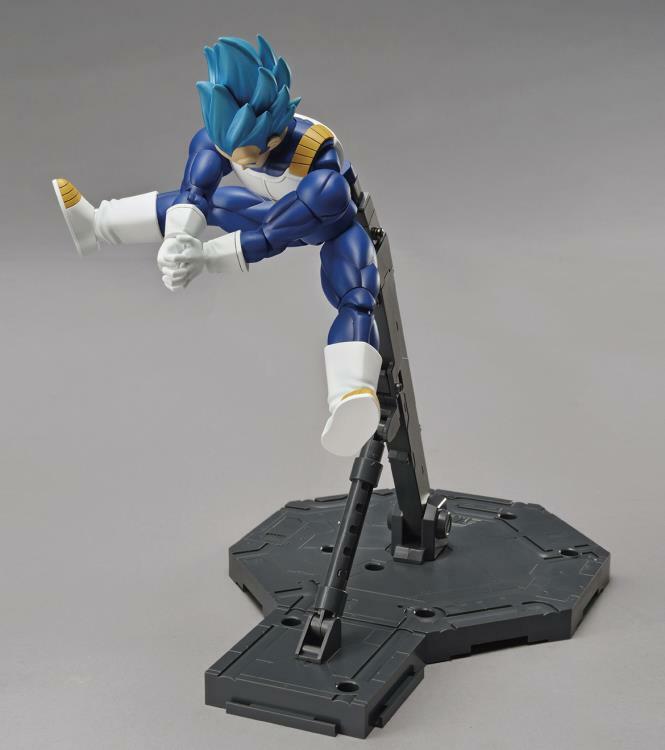 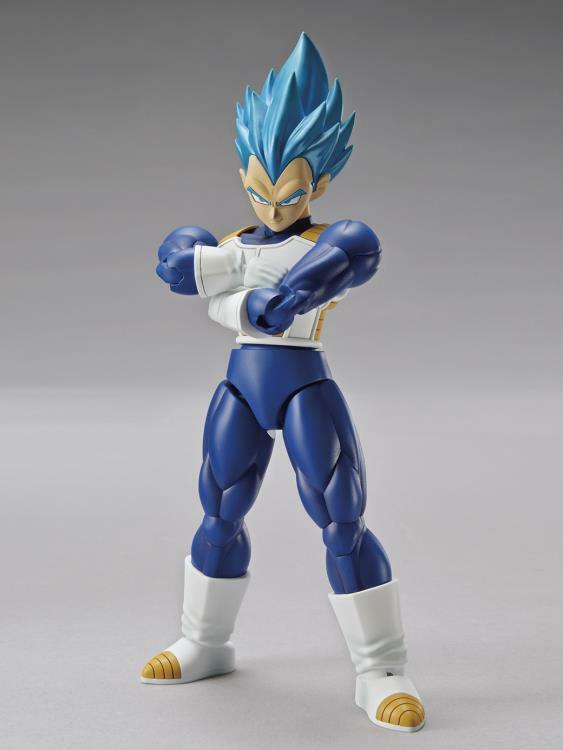 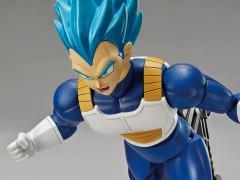 Goku's most powerful rival and ally appears in the Figure-Rise Standard line with iconic blue hair that is molded via metallic gloss injection. 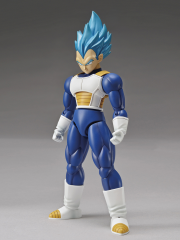 Utilizing the Muscle Build Up system, the model has great poseability while still maintaining the sharpness of the sculpt and likeness of the character.